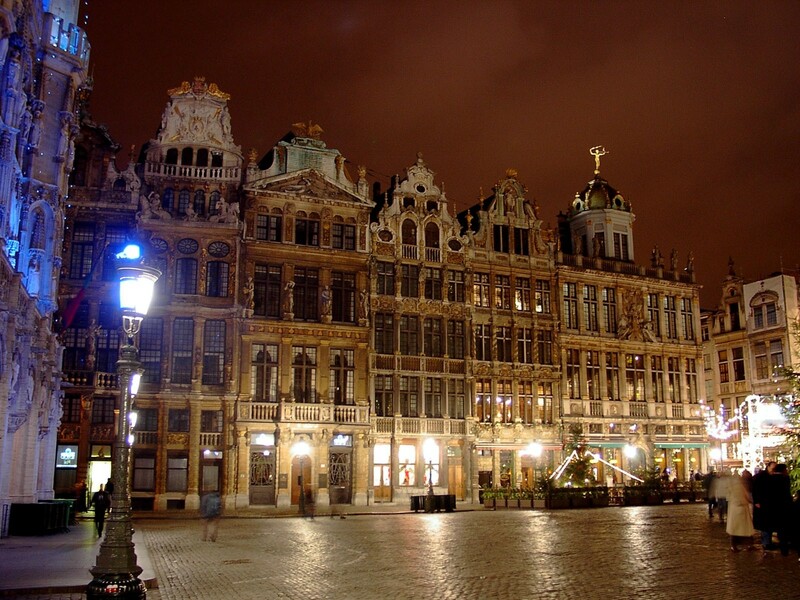 If your planning on visiting Brussels, it's for sure you'll end up on the monumental Grand Place! But beware, around this square, tourist traps are lingering around the corners. Example: you can easily find 10 kilo's of so-called Belgian chocolate for only 6 euro. If you want more quality for your money, then you better shop at the Maison des maîtres choccolatiers belges! This House of master belgian chocolate makers unites under one roof all of the expertise and tradition of Belgian's chcoclate craftsmen. These ten ambassadors received a setting which isn't inferior to the quality of the pralines. It was up to creative agency minale design strategy to seduce us with a interior design concept. Drawing from the qualities of chocolate, the agency created a dynamic shopping environment with a bold and graphic wall elements. This concept translated in the 21st century version of the Hansel and Gretel, in this context, chocolate house. The floor, walls, and ceiling are treated in a chocolate colour which can be clearly observed from the street. the edges and corners of the room are pulled out in a three dimensional, multifaceted surface that reflect light at different angles. Or to say it simple: like a chocolate bar. At the back of the store, the 'white chocolate' element is introduced, marking the stairs leading upstairs to the chocolate atelier. a place for the académie du chocolate (yes they have workshop). To finnish is properly, the architecture of the boutique was translated to all communication tools including the store's website, packaging and shopping bags, clearly establishing an distinct identity.